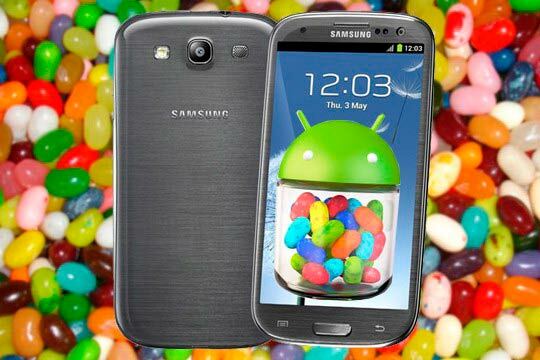 The long-awaited roll-out appears to have commenced, with lucky GS III owners in Poland being among the first to get an early official taste of Android 4.1.1 Jelly Bean. After many leaks, the software update has started its official installation to your Galaxy S IIIs. The first country to start receiving the update is Poland, but the rest of Europe should join the party soon. The firmware can be obtained OTA or via KIES. Samsung recommends you are on a Wi-Fi connection with at least 50% battery when you apply the update. Jelly Bean does a lot to improve the Galaxy S III user experience. It will bring a host of subtle yet powerful improvements, including Google Now for anticipating search queries, smooth UI improvements from Project Butter, as well as some Samsung extras already seen on the Galaxy Note II, such as a resizable Pop-up play screen. Other Samsung customers will also receive the same treatment soon. On the list are the Galaxy Tab 2 7.0 and 10.1, Galaxy Note 10.1, Galaxy S II, Galaxy Note, Galaxy Tab 7.0 Plus, Galaxy S Advance, Galaxy S II LTE, Galaxy Music, Galaxy Chat, Galaxy Ace 2, Galaxy Beam, Galaxy Ace Plus, Galaxy mini II and Galaxy S Duos. I am sure that all these devices will receive the Jelly Bean updates within weeks. But keep in mind that exact release date may be varied depending on your region.